The Hridaya Teacher Training Course (HTTC) offers a systematic and comprehensive approach to meditation and hatha yoga that provides a Yoga Alliance-registered 500-hour teacher training certificate. Read more. The HTTC fee, including deposit, is €2,800. 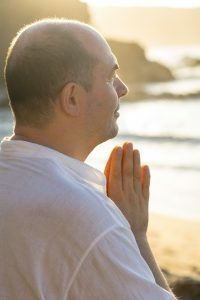 The course fee includes complimentary participation two 10-Day Hridaya Silent Meditation Retreats led by Sahajananda. Participation is mandatory and part of the course curriculum. The tuition fee does not include accommodation or food, but both are available at the Hridaya Yoga Center and in Mazunte/San Agustinillo. The program application may be downloaded from the HTTC registration page. Please see the HTTC Overview and email ttc@hridaya-yoga.com for more information.